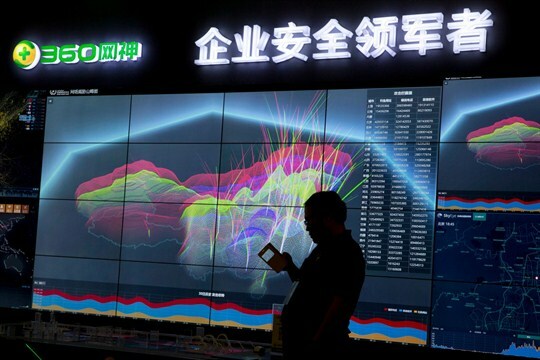 A computer display shows a visualization of phishing and fraudulent phone calls across China during the 4th China Internet Security Conference, Beijing, Aug. 16, 2016 (AP photo by Ng Han Guan). TAIPEI, Taiwan—In early May 2016, a police raid on a suspected money-laundering operation in the Taiwanese city of Taichung instead uncovered a large and wide-ranging telecommunications scam. Based in the Dominican Republic, the operation spanned the world, stretching from Taiwan to China and the United States. According to Capt. Lee Chi-shun, an investigator with the Criminal Investigation Bureau of Taiwan’s National Police Administration who was heavily involved in the case, the small shop raided by local police turned out to be a data center where money that had been fleeced from victims of telecom fraud was transferred onward to bank accounts both in and out of Taiwan. Police discovered remittance receipts and other evidence that not only identified known Taiwanese victims of telecom fraud, but also bank accounts in the United States where the stolen money was ending up. Those bank accounts were tied to a 45-year-old Taiwanese man, Huang, known to Taiwanese police as a petty criminal with legal residency in the United States and a passport from the Dominican Republic.